João Pessoa does not receive international flights. However, nearby towns receive them. 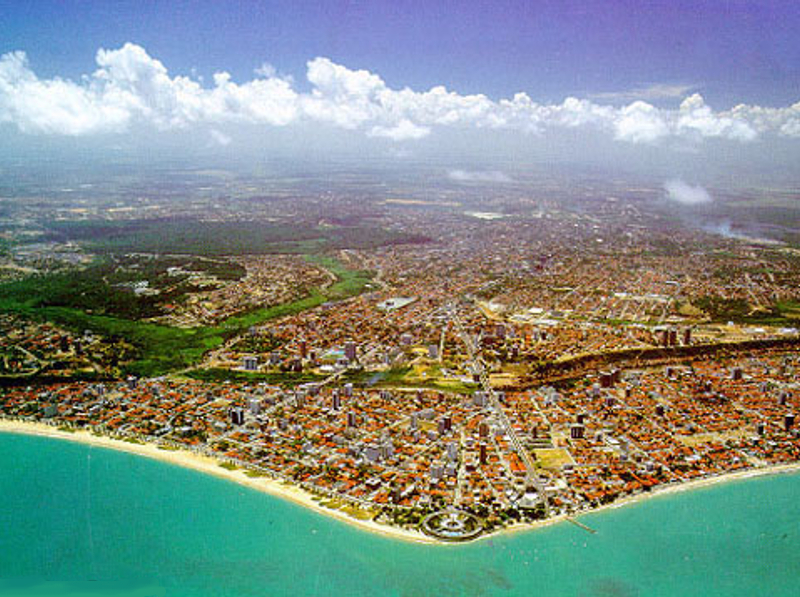 Nowadays, Recife (far 111 km) receives direct flights from Lisbon and connections from other european cities; from Miami and from Panam&aacite; city and connections with other north and central american cities. From Recife is possible to come to João Pessoa by taxi (1:30h), bus (2:00h) or take another flight (20 minutes). Natal (far 153 km) receives direct flights from Lisbon and connections from other european cities. From Natal is possible come to João Pessoa by taxi (1:50h)or bus (2:30h). There is no direct flight from Natal to João Pessoa, but it is possible go to Recife and after to João Pessoa. Fortaleza (far 688 km) receives direct flights from Lisbon, Roma and Paris and connections from other european cities. From Fortaleza is possible come to João Pessoa by bus (8:00h) or take another flight. Salvador (far 762 km) receives direct flights from Lisbon and connections from other european cities; from Miami and connections with other north and central american cities. From Salvador is possible come to João Pessoa by bus (10:00h) or take another flight. Northeast region of Brazil. The geographical locations of the cities of Fortaleza, Natal, João Pessoa, Recife and Salvador are highlighted on the map (white boxes). São Paulo and Rio de Janeiro receive most of the international flights which came to Brazil. From those cities there are several flights to João Pessoa. 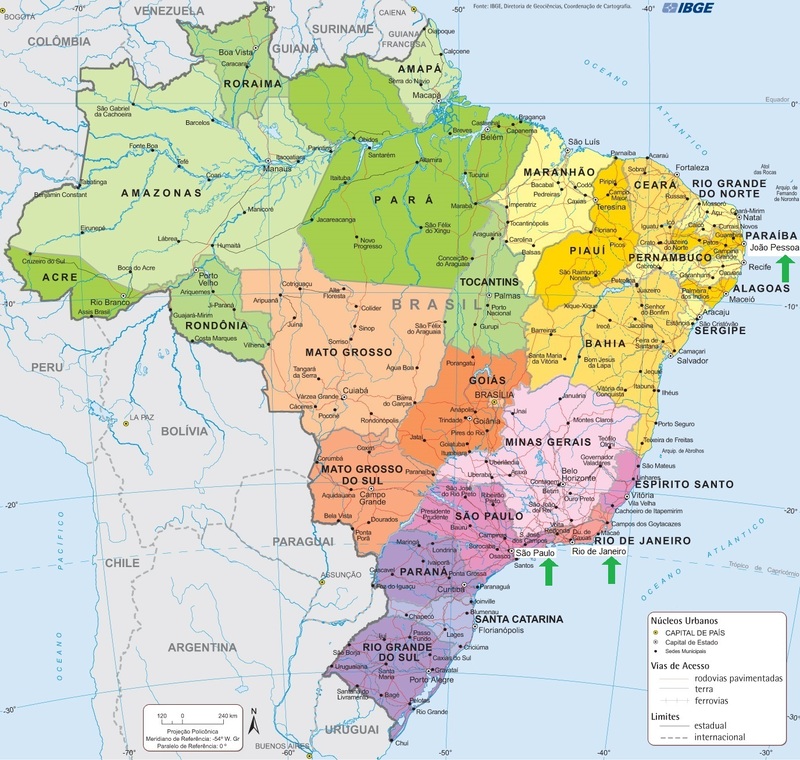 Brazil map, where the geographical locations of the cities of João Pessoa, São Paulo and Rio de Janeiro are highlighted on the map (green arrow).